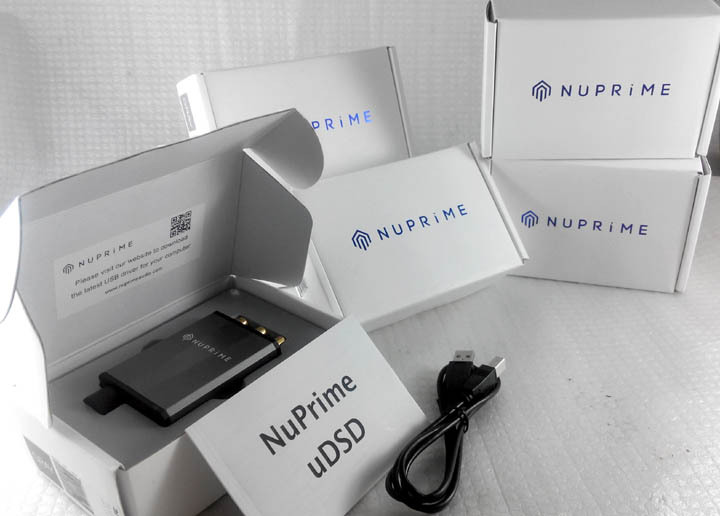 NuPrime uDSD -portable DAC. Decodes 24-bit PCM384 & native DSD256 files. 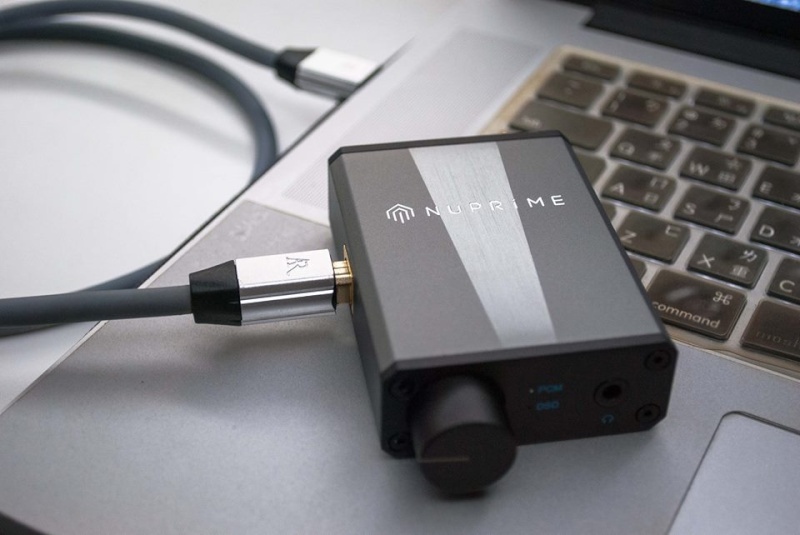 The NuPrime uDSD, a significantly audiophile grade advanced hi-resolution USB-powered portable DAC with head-amp built-in. 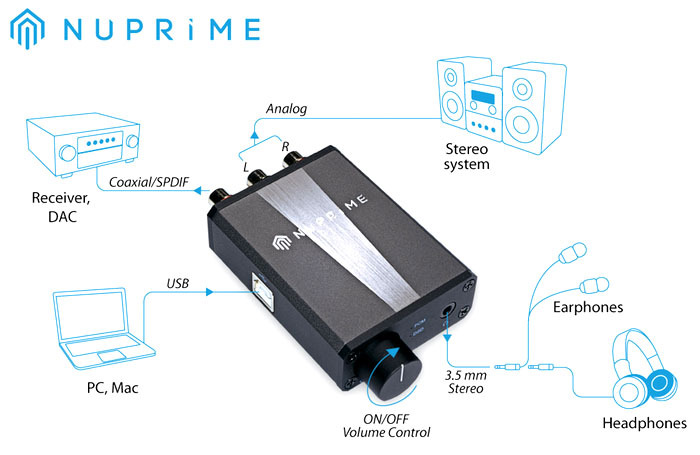 Features direct DAC out (analog out) and Coaxial S/PDIF, for a broad variety of systems. 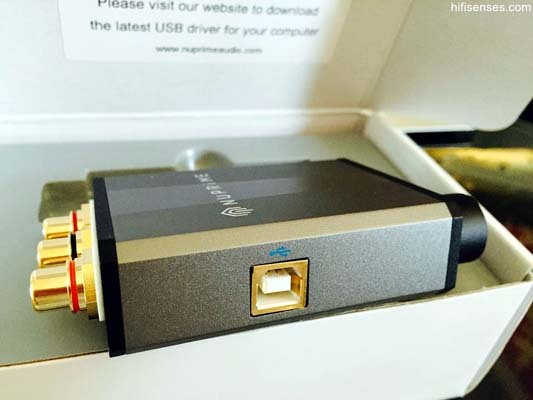 It connects your personal computer's audio to your home stereo, desktop sound system and headphones. 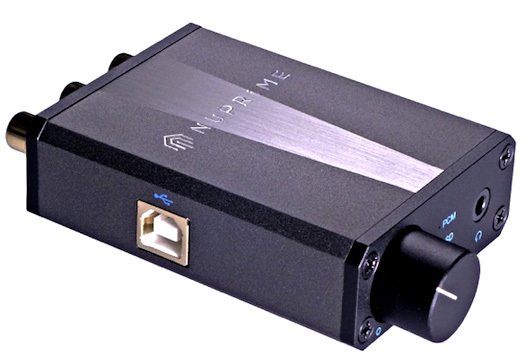 The powerful headphone amplifier circuit, built on a sophisticated balanced design, provides the uDSD with the ability to drive almost any of today's headphones -- a feature that can also be used to drive active speakers. Decodes the latest high-resolution music formats, ranging from 44.1kHz to 384kHz (PCM) as well as native DSD decoding from DSD 64 up to DSD 256. 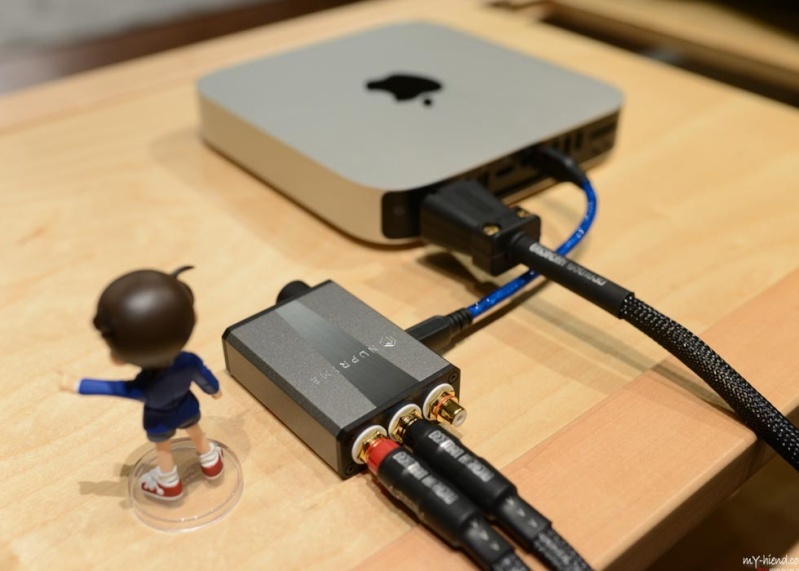 With its native DSD-format decoding capability, uDSD is ideal for upgrading existing high-end non-DSD DACs. A palm-sized rock solid aluminum enclosure provides durability and elegant style. - Works with Windows 7/8 and Mac OS. Input: USB 1.1, 2.0, compatible. - USB sampling rates: 44.1,48,88.2,96,176.4,192,352.8,384KHz and DSD 2.8,5.6,11.2MHz. - Output: Analog RCA 2V rms (DAC out). - Headphone output: max 140mW x 2 @ 32 ohm. - S/N ratio: 112 dB. - Power: USB-Bus powered, 150mA/5V. Comes with USB Cable and Documentation. 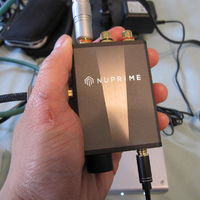 Re: NuPrime uDSD -portable DAC. 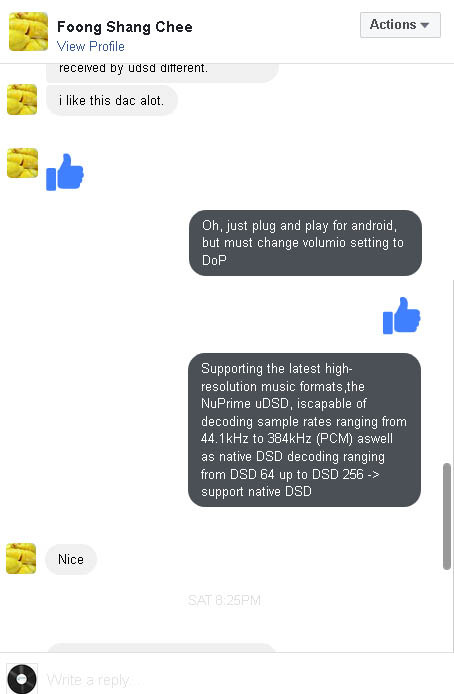 Decodes 24-bit PCM384 & native DSD256 files. 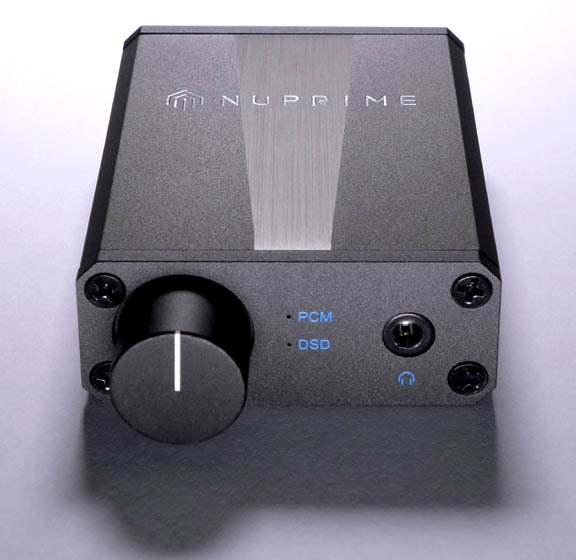 "This NuPrime uDSD has a very strong emphasis on creating a sense of clarity and transparency. In this aspect, it is extremely successful and sounds more transparent than others at its price point." Yes, it supports the high resolution DSD DDC (dop) files. 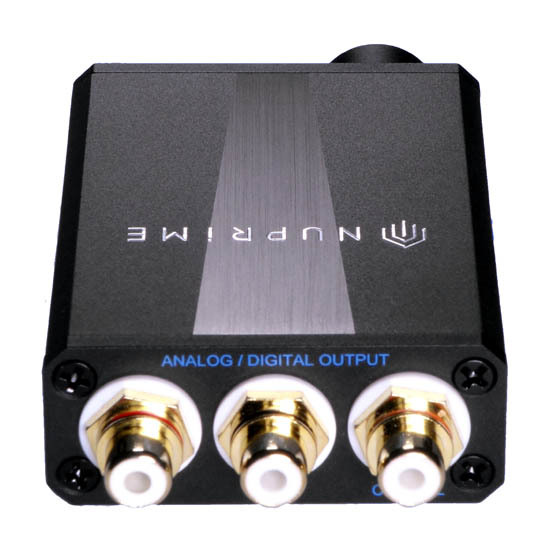 Affordable yet high quality DAC. * We accept credit cards too. * Cash / card accepted. Tried to leaved a message at your FB messenger but no response. Please quote me the price including shipping to Penang if you still selling. thx. uDSD support Native DSD well !